If you already have a voucher from Groupon for your course, simply redeem it by sending your Security Code, your first name, surname, and (preferably private) email address by email here or or SMS or Whatsapp 084 335 1636. You will get onto your course within the next 24 hours if we are busy and within minutes or hours otherwise. You can then start at your very first convenience. Enjoy! Tired of dieting, bootcamps, or just plain fed up with the thought of depriving yourself of those yummy foods you like? Now you can lose weight the right way for your mind-body. 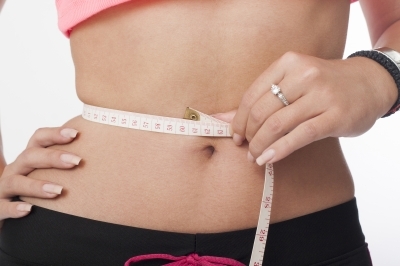 Learn how to lose the weight and keep it off. Release the underlying emotional (and some surprising physical) causes for your weight. When they no longer exist, the weight comes off, about 51 modules you easily log in to access and enjoy, timed to help you over 12 months. This helps you lose the weight and keep it off, fully supported in your interactive weight-loss program. Enjoy how-to videos and guest articles, teleclasses and interviews, and learn the secrets that get you there! Special rate of R1140 once-off payment, or pay by PayPal in dollars only $8.50 a month for 12 months. To purchase in South Africa, please pay by bank transfer to Falcon Management Services, FNB Bayside, Branch code 203809, Account 62321254758‎. Please reference your payment with the first part of your email address. And please email us as soon as you have made your deposit, with your full name and a password that you can remember. Within the next 24 hours, your course will be delivered to you, module by module, fully supported. Sorry but NO CHEQUES of any kind accepted 🙂 Make sure you tell your email program that any emails from newagetherapies.com, newageinternationaltraining.com, and jigsawbox.com are good emails. We cannot be held responsible for any inefficiencies or challenges in your email setup, internet access, or computer equipment. Any questions? Just email us here or SMS your query to 084 335 1636. Terms and Conditions and legal bits for ALL the Training on this page – You are advised to consult with your medical practitioner before embarking on any course of alternative, complementary, or beauty sessions or learning. Advance payment for a course of sessions or workshop(s) is non-refundable and non-transferable under any conditions. All the training on this page is a no-no for anyone with psychosis or schizophrenia, and if in doubt, you must first consult with your psychiatrist. We cannot be held responsible for any inefficiencies or challenges in your email setup, internet access, or computer equipment. Slimming Image Courtesy of Patrisyu at FreeDigitalPhotos.net. Our use of systems that are trademarked or have a registered trademark represents our views and not necessarily those of the trademark owners.